30 of the leading vintners in the Austrian Gruner Veltliner regions accepted Maximilian Riedel’s invitation to the school of viticulture in Krems. 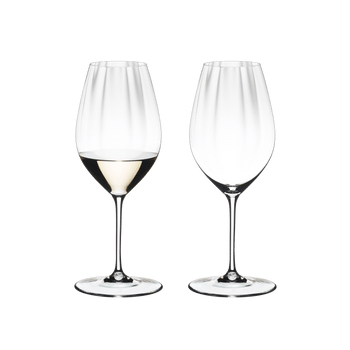 In the course of several workshops, Riedel and the winemakers worked together to develop the perfect glass for Grüner Veltliner and also reviewed the existing glasses. Hardly any other grape comes close to the complexity of Grüner Veltliner. For this reason, there were substantial doubts whether a single glass would be able to perfectly highlight and support the various characteristics of this wine. The precision of the result surprised everyone. In four workshops over two days, Maximilian Riedel and vintners from the Vinea Wachau, the Österreichische Traditionsweingüter and the Weinviertel DAC tested and selected various glass shapes from different series. Five varietal wines from each region were blind tasted. Fourteen glasses, including three prototypes, were in the running. In the course of five flights for each glass, their functionality – in terms of bouquet, flavour, in-mouth sensation, finish – was reviewed and evaluated in a selection process. After each wine, a number of glasses were eliminated by a show of hands until finally, after the fifth wine, one glass prevailed. The undisputed winner in all four workshops was a glass from the brand-new Performance series! In all four rounds it quickly became clear that the glass shapes that Riedel had previously recommended for Grüner Veltliner were able to hold their own right up to the end, but that there was another clear favourite: the glass from the Performance series presented in February 2018. Its special feature is the surface of the glass inside the bowl, which is produced “optically” in a machine process: a grooved structure increases the inner surface area of the glass without changing its elegant silhouette or feel. This structure also serves to additionally aerate the wine as it is swirled, thereby enhancing its bouquet. Maximilian Riedel speaks of “optic impact”. The barely visible grooves are not a gimmick, but serve the purpose of presenting the wine in its most perfect and most comprehensive form. The glass allows the wine to show wide-ranging nuances of taste. “My father, Georg Riedel, and I have been working on this series for several years. The fact that our best winemakers favored this glass so clearly and unambiguously makes us especially happy and proud,” says Maximilian Riedel. The Performance series is without parallel on the market. Its many years in development paid off. The glasses of this new series differ significantly from all the other products available on the market. The bowl is larger and has an increased volume through the optic impact. The diameter of the mouth rim has been adjusted so that the wine hits the tongue and palate with even more precision. The base has a diameter that was previously impossible to produce by machine. This allows the glass to remain perfectly balanced despite the larger volume and thinner stem. “We were sure of our product, but wanted it to be assessed by our harshest critics. The vintners. Their approval is the highest praise for us,” Maximilian Riedel explains. The winemakers were unanimous in their assessment, and the blatant difference compared to other glasses convinced one and all.